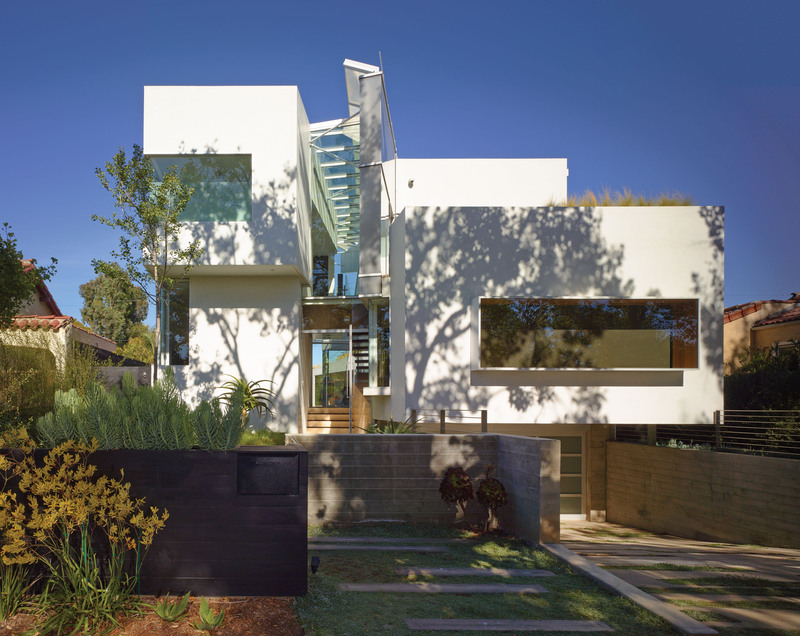 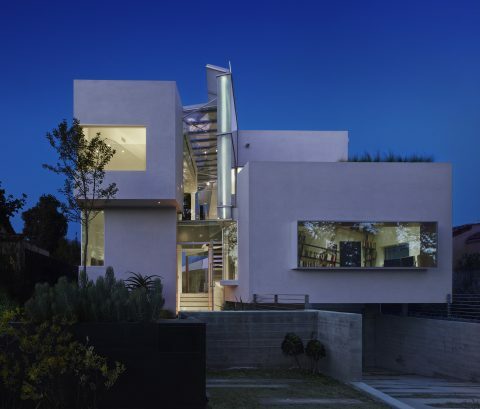 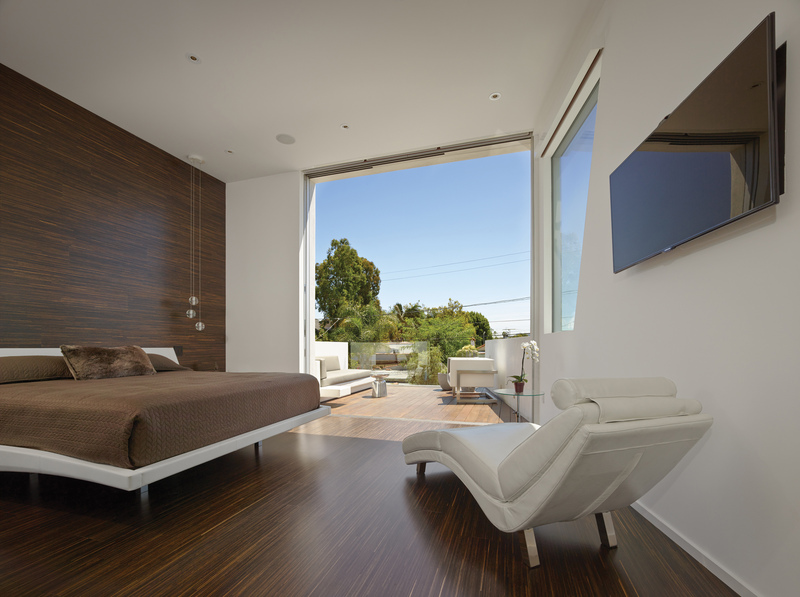 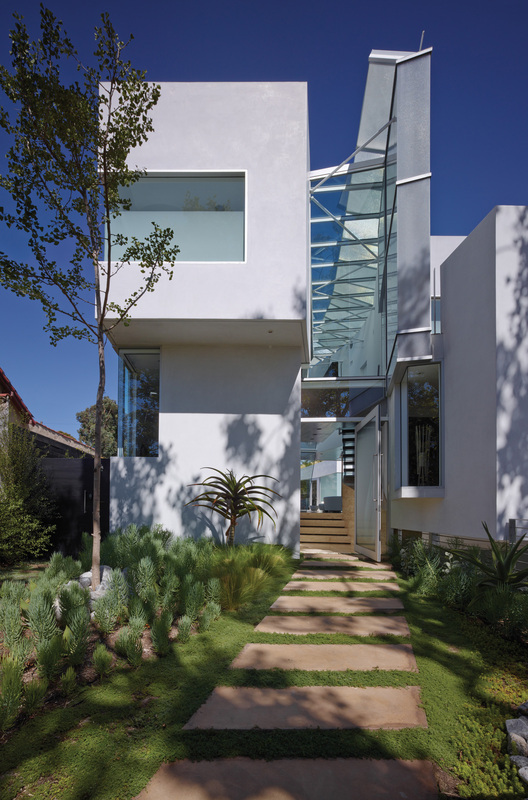 This 3,600 square foot two-story residence on a flat, semi-urban site in the design district of Los Angeles, California provides new vistas to the city and landscape beyond. 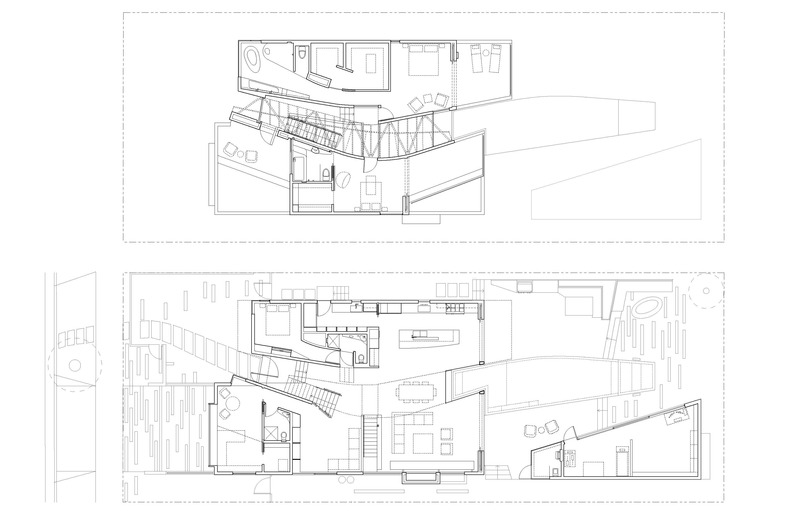 The residence is compact, yet designed to create a sense of expanded volume. 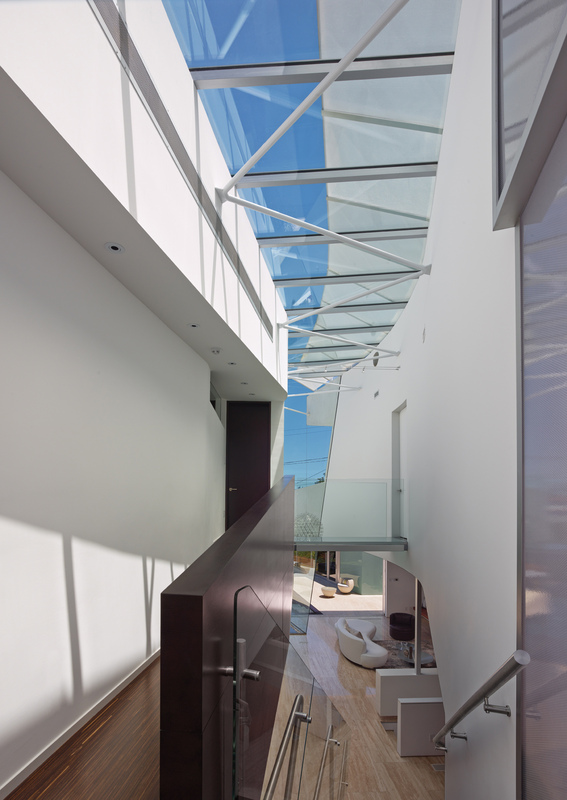 A double story central volume curves through the house, creating extended views and maximizing daylight from the skylight and sunshade above. 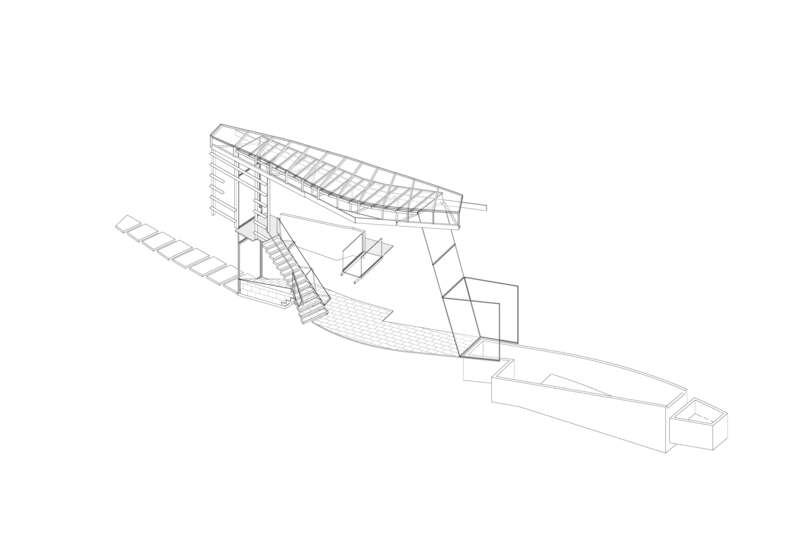 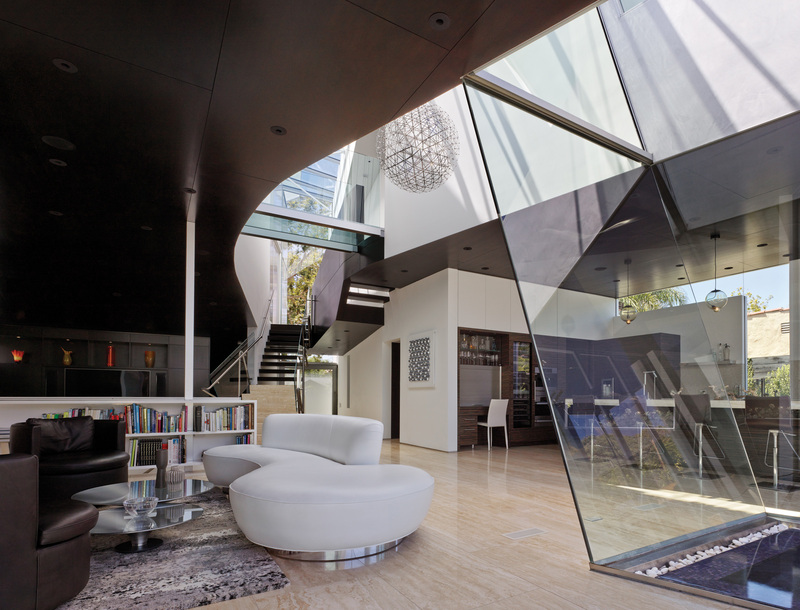 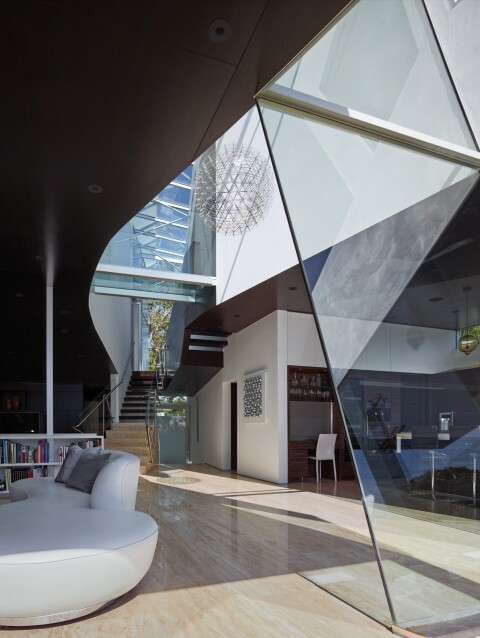 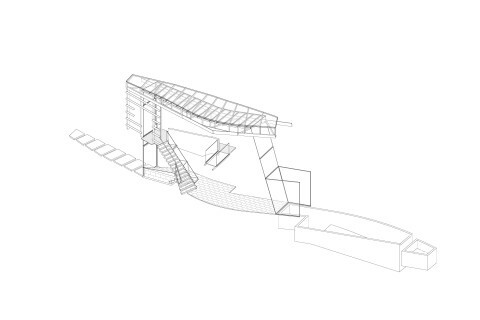 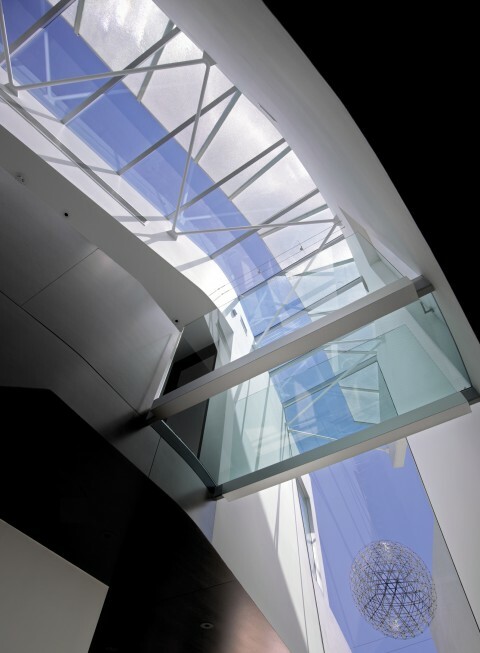 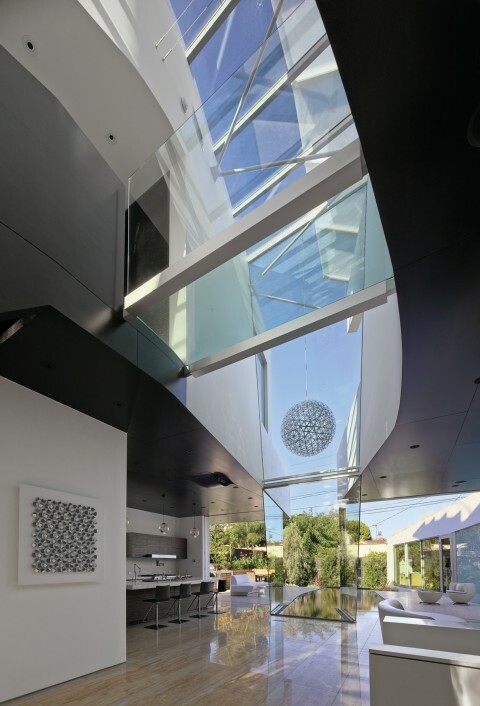 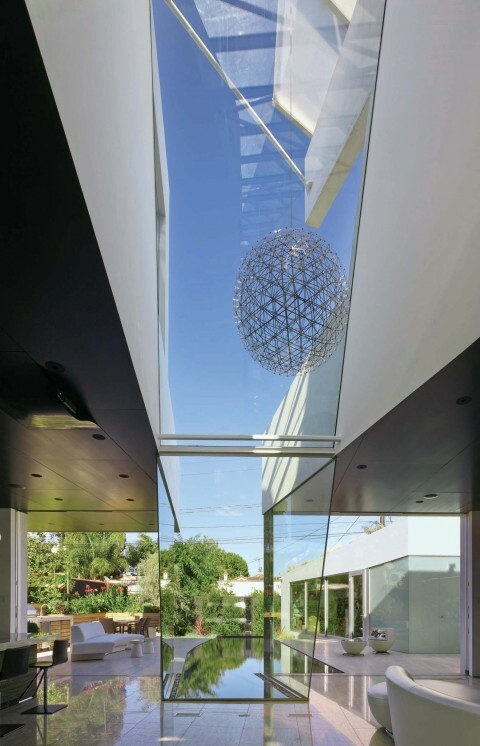 A sculptural stair punctuates the sinuous movement of the house, while a glass bridge reconnects the two wings of the upstairs. 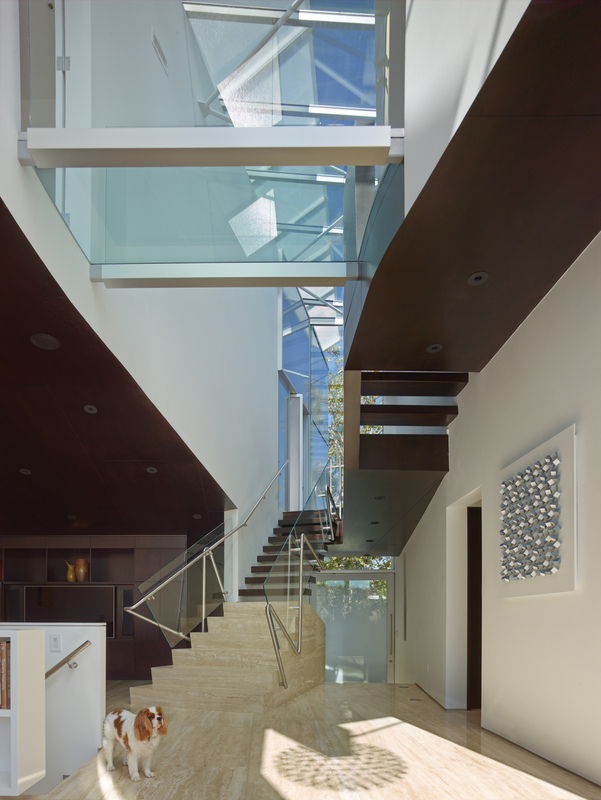 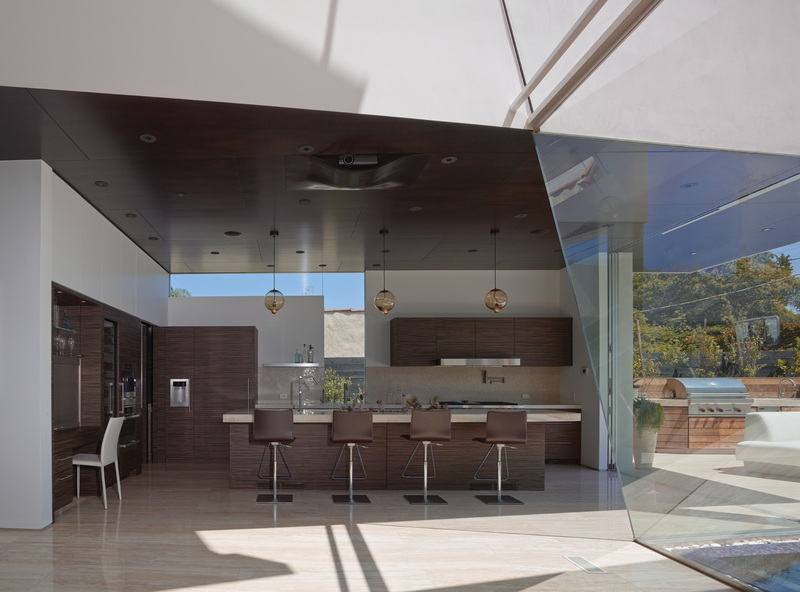 An elegant palette of contrasting materials contributes to the expansive feeling of this home. 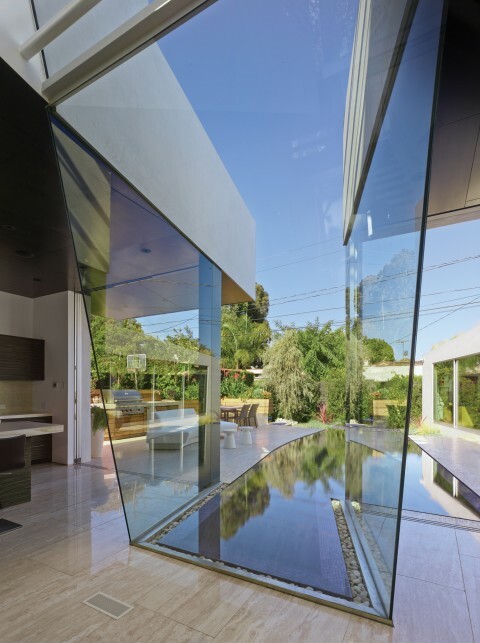 The backyard has a courtyard feel and a curved pool echoes the form of the central volume drawing attention through the house.